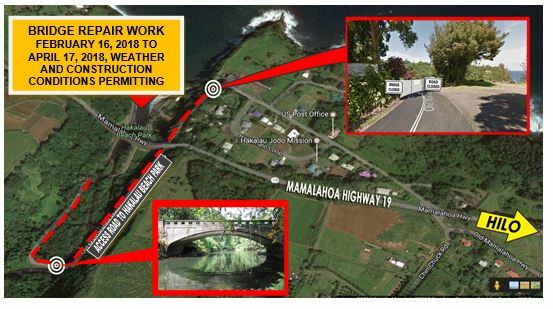 Repair work on the Hakalau Stream Bridge located on the road leading to Hakalau Beach Park which is currently closed, not the bridge on State Highway 19, will begin on Friday, Feb. 16, 2018, and is expected to be completed by Tuesday, April 17, 2018, weather and construction conditions permitting. 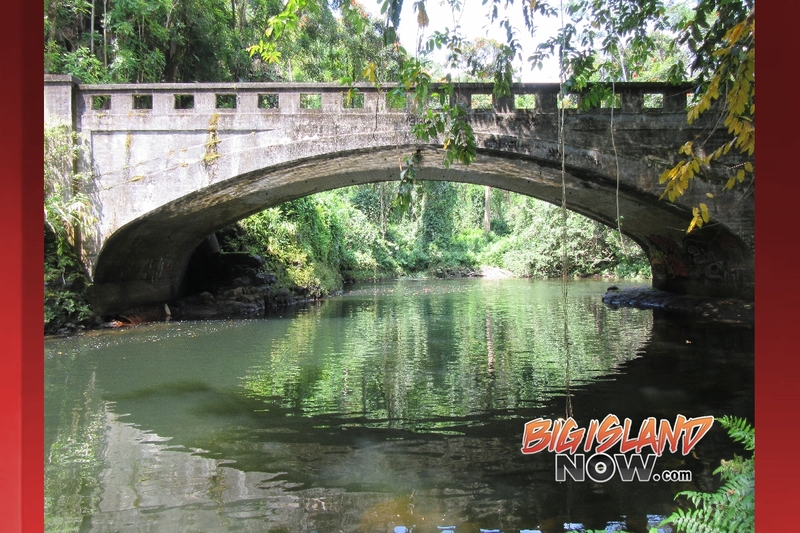 Hawaiian Dredging Construction Company was awarded the contract to repair the northern abutment that has been undermined due to scouring from the Hakalau Stream. The bridge repairs will meet Federal Highways Administration (FHWA) standards and ensure the public’s safety at this stream crossing. 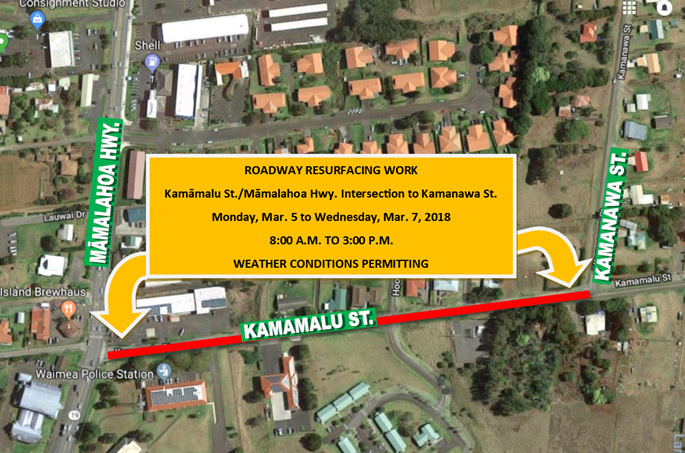 The County of Hawai‘i Department of Public Works apologizes for any inconvenience this closure has caused and thanks the community for their patience and understanding. All State and Federal approvals, certifications, and environmental permits required by the Federal Highways Administration (FHWA) have been secured. 80% of the $1,644,000 project cost will be funded by federal funds and the county will contribute the remaining 20%. If there are any questions or concerns regarding the bridge repair work, call Barett Otani, Information and Education Specialist, at (808) 961-8787.